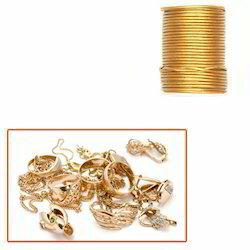 Pioneers in the industry, we offer round leather string for jewelry from India. Owing to our state-of-the-art infrastructure unit, we have been able to manufacture, supply and export a commendable range of Round Leather String for Jewelry. We manufacture these cords in different thickness, colors and sizes that can be customized as per the specific requirements of customers. Further, to manufacture these cords, leather is obtained from credible vendors of the industry, who are selected by our procuring agents. Looking for Round Leather String for Jewelry ?